Upper jaw expansion is an orthodontic treatment that creates more space growth for developing kids by widening the circumference of the palate. This procedure helps correct crossbites, reduces overcrowding, and improves breathing ability. Most adolescents will receive this treatment before 16 years of age, but adults can also expand their upper jaw, if needed, as well. Read on to find out how upper jaw expansion works and what the advantages are with these tips! Many patients deal with malocclusion, or crooked teeth and a poor bite. A poor bite refers to the way the upper and lower teeth line up, which is affected by the structure of the jaw. A “normal bite” consists of the upper teeth sitting slightly forward of the lower teeth, which allows for proper movement. Malocclusion is normally a cosmetic problem, but when it interferes with how teeth erupt, it can cause crooked teeth and tooth decay. A common cause of malocclusion is having too much or too little room in the jaw, which affects whether teeth grow in crowded or crooked. The shape and size of the jaw can also affect how severe someone’s malocclusion is, but thumb-sucking and tooth loss can also influence this process. 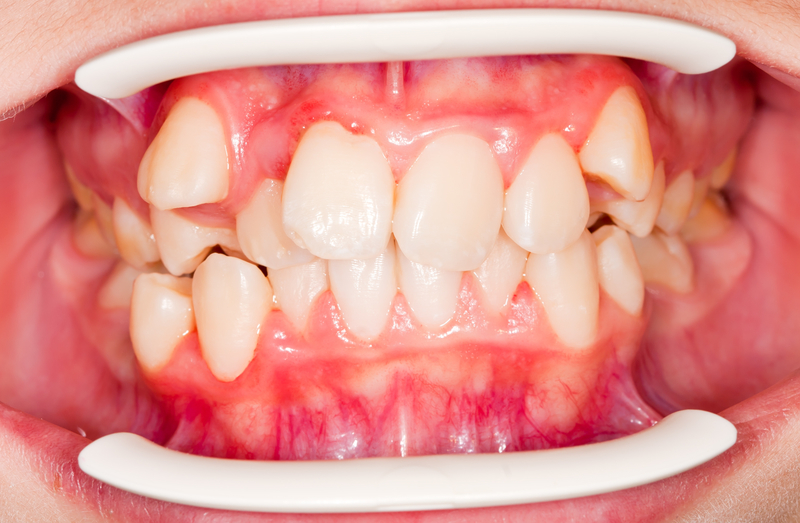 For many patients, especially children, malocclusion is caused by a limited amount of space in the mouth for teeth to grow, so they either grow in crooked or the bite is altered. For this reason, many young dental patients receive upper jaw expansion treatments to allow more room in the mouth and prevent malocclusion. As more study and insight has been gained on the structure of the mouth, there are now more possibilities to fix incorrect bites, adjust occlusion and prevent crooked teeth starting from an earlier age. Upper jaw expansion is a specific treatment for widening the circumference of the palate to increase the perimeter of the dental arch in the mouth, which creates more space for teeth to grow. When there is enough room for teeth to grow, they are more likely to develop correctly. During childhood, palatal or maxillary expanders are used to aid this process. Through these expanders, dentists can help correct a crossbite that is caused by malocclusion. Normally, the upper teeth should close around the outside of the lower teeth, but when someone has a narrow palate, the opposite can occur and create a crossbite. As the upper teeth bite inside the lower teeth, an asymmetrical growth of the lower jaw can develop and change the symmetry of one’s face. This can cause serious complications if not addressed early on. Lastly, upper jaw expansion methods improve breathing ability, which is greatly affected by a narrow jaw. A narrow or deep upper jaw can make it difficult for a child to breathe through their nose and results in constant mouth breathing. While it doesn’t sound very serious, consistent mouth breathing keeps the mouth open at night, allowing for unfiltered bacteria to enter into the oral cavity, causing dry mouth and halitosis (bad breath). Upper jaw expansion is most successful when done at an earlier age while the mouth is still developing. For adults, those with a crossbite may only need a dental expansion instead of a palatal expansion, but may need surgery if palatal expansion is required to fix concerns. Depending on the age of the patient and the reason for treatment, a rapid palatal expander (RPE) may be used to increase the width of the jaw. The RPE is attached to the upper molars by bonding or cemented bands, and uses a special key that is used to widen the space by turning a screw in the appliance at certain points in time. This process puts extra pressure on the two halves of the upper jaw, which causes extra bone to grow between them. Gradually, by turning the screw with the key each day, the jaw widens to make room available for developing teeth. For adults, removable expanders can be used, as well, whenever the degree of expansion is minimal. Resembling a partial denture, removable expanders are typically made of chrome and recommended for adults as they more easily comply with treatment. After treatment, an orthodontic retainer may be given to maintain the space until all permanent teeth have developed. A third but least common option for expansion is a surgically assisted rapid palatal expander (SARPE), which is a combination of orthodontic treatment and surgery. This is used in the case that expansion cannot be achieved by the appliance alone. A custom appliance is made before surgery, and while during surgery, the upper jaw is intentionally fractured to separate it into movable sections. This allows the bone to grow between the fractures after the appliance is inserted. 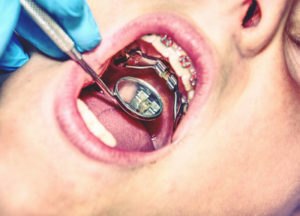 Palatal expanders help straighten teeth, improve breathing and fix incorrect bites, but there are important suggestions to make note of. Since children are most likely to have one, a palatal expander, just like any orthodontic appliance, needs to be thoroughly cleaned each day to prevent plaque buildup and decay around the teeth. For young children, this can be difficult to do without help and can be easily overlooked, so parental supervision is essential. Additionally, the entire process can cost up to $3,000, depending on the degree of correction. For many, there is also some minor discomfort during expansion, but it is well worth it when you’re avoiding an inaccurate bite later in life. For more information on which treatment option is best to fix yours or your child’s palate, call Belmar Orthodontics at (303) 225-9016! Our experienced team is dedicated to improving your oral health and getting you the smile that you deserve!